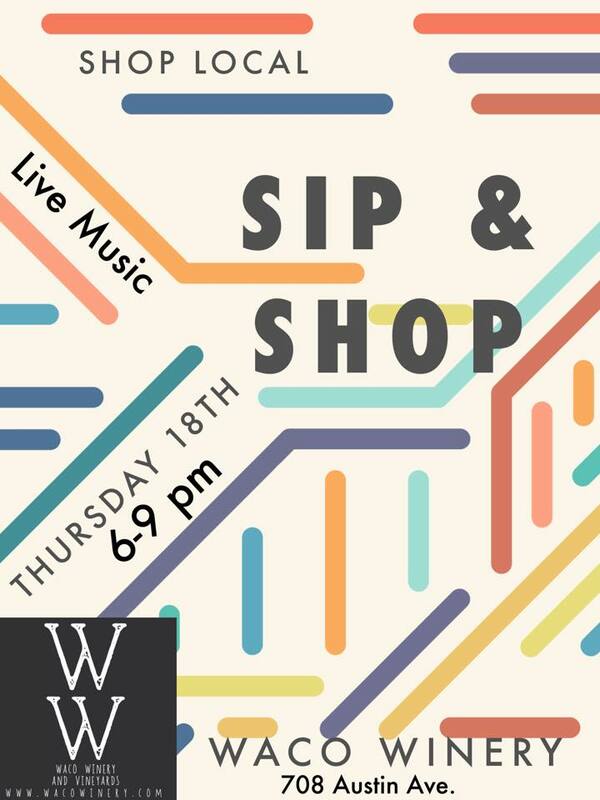 Support local small businesses at this Sip & Shop hosted by Waco Winery! With the choice of 10-15 various local vendors set up throughout the tasting room, there’s plenty to see and buy as you sip local made wine from Waco’s own Waco Winery & Vineyards! Music is often a feature of this event as well! Come grab a glass, do some shopping, and make new friends!